Fence tensioning adds both strength and stability to a garden fence and is a recommended deer fence accessory. Fence tensioning systems works to hold fences upright and tight in order to reinforce the top and bottom edges against deer damage. This kit includes everything you need to install a tension system on the top and bottom of a 330' fence system. It is compatible with our fence lines up to 330'. 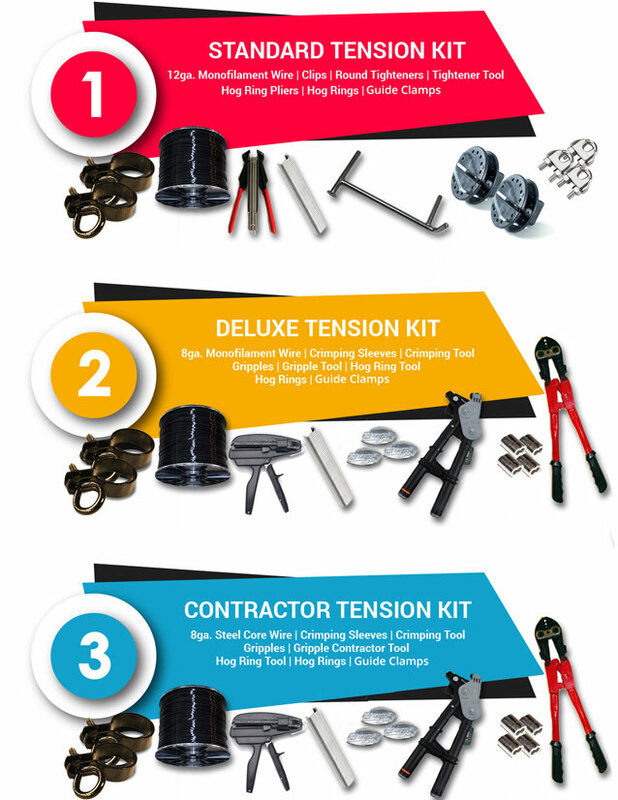 Trying to figure out which parts and pieces and how many things you need to complete your tension system can be tough; but the 330' tensioning kit comes complete with all parts needed to help installers build a strong deer fence.